Director of Piano Department of Shenzhen Art School, Vice President (and President Assistant), of Shenzhen Piano Society, member of Dan Zhaoyi Expert Studio, member of Piano Committee of College Music Union of China Musician Association, Special Expert of Dance Music Professional Committee of China Art Vocational Education Association, Visiting Professor of Ningxia Art Vocational College, Senior Jury of Piano Examination of National Music Association. 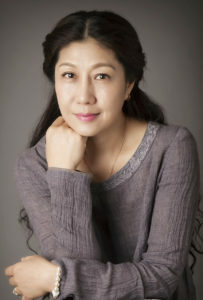 In recent years, she has instructed students to win prizes in various piano competitions at home and abroad, including the Asian Chopin International Piano Competition in Japan, the Singapore International Youth Piano Competition, and the German Wiesbaden International Piano Competition, and trained a number of students to gain admissions into famous music schools at home and abroad, including the Central Conservatory of Music, Shanghai Conservatory of Music, Eastman School of Music, Oberlin Conservatory of Music, San Francisco Conservatory of Music, and Royal College of Music etc. She has won the “Special Contribution Award” from the Forte International Music Competition of America, the “Outstanding Instructor Award” issued by the National Department of Culture and Education, the “Outstanding Teacher Award”, the “Outstanding Instructor Award” and the “Gardening Award” issued by Guangdong Provincial Department of Culture and Education, Shenzhen Propaganda Department of the Municipal Committee and other various competitions. In 2015, she was awarded the title of “Excellent Teacher of City Level” by Shenzhen Municipal People’s Government. Besides, she has been invited to serve as judge or guest of various piano competitions and music festivals at home and abroad.